The London 2012 Olympic mascots have been revealed - and there are a range of social features to support them. 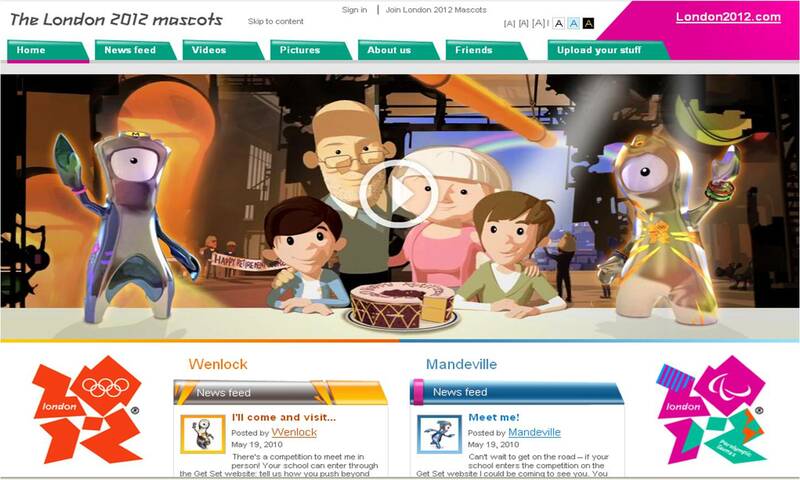 Wenlock is on Twitter here @iamWenlock and Mandeville is on Twitter here @iammandeville. Wenlock has a Facebook page here and Mandeville has a Facebook page here. and then on the London 2012 Olympic mascots site there is a news feed, video section, picture section and opportunity to 'Upload Your Stuff' - with all user comments openly displayed. Great job - I think the 2012 Olympics is going to be great and the unveiling of the London 2012 mascots is a great reminder that there's now not long to wait! he only bit that made me cringe was the last line "the whole world will be there" which is patently untrue. But I like hte storyline and 'granpa George'!